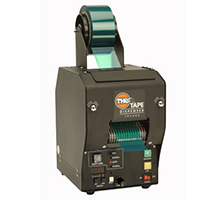 Offering a multitude of tape, material, tag and label dispensers for applications in manufacturing, packaging, and labeling. 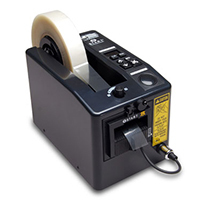 LD3000- 2.25" wide heavy duty electronic eye label dispenser with the smallest footprint in the industry. Need the label quicker? 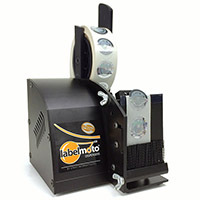 Check out the LD3500 with vertical dispensing. 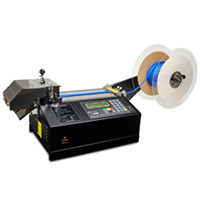 LD-6025 - Ideal for shorter labels and uses a slower motor. Wall Mountable! 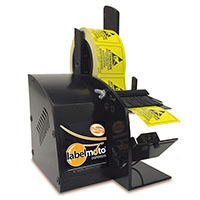 Dispenses labels from .25" to 4.5"
Ideal for lengths from .125" to 6"
LD-6050- Ideal for virtually any kind of label from bar codes to packaging. Wall Mountable! 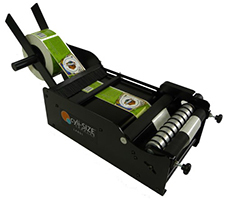 Ideal for lengths from .50" to 6"
LDX-6025 - Ideal for shorter labels up to 7 inches wide. LDX-6050 - Up to 7" Wide! 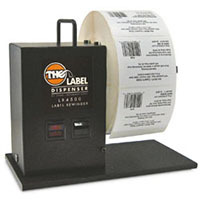 Dispenses labels from .25" to 7.0"
TBC-50- Heavy Duty non-adhesive material dispenser and cutter. Several Different models depending upon application. 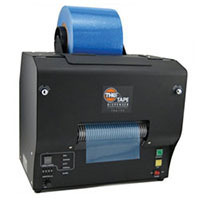 M1000 - An electronic dispenser for PVC tapes up to 2" in width that will automatically dispense and cut. Several models available. M1100 - A variation of the M1000 incorporating a "safety guard feature". M2000 - A variation of the M1000 for up to three multiple length settings. 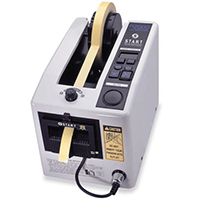 TDA080 - Start's 3" Pressure Sensitive Tape Dispenser. Several models to choose from. 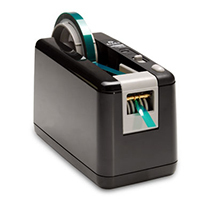 TDA150 - New Start 5.9" Pressure Sensitive Tape Dispenser based on the TDA080. 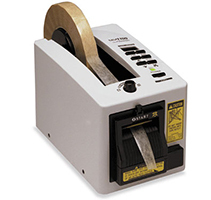 TDW019 - Manual Tape Wrapper. Simple and easy to use for wrapping tape around bundles. 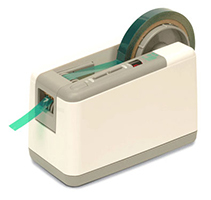 TDA-025B - New smaller carousel pvc tape dispenser with more options. 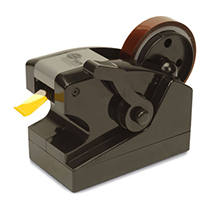 ZCM-0800 - Low cost tape dispenser with tear off blade. If you are searching for a dispenser and are unsure what to do, email details of your requirements. In some instances the best solutions is to send us a sample roll of the material and allow us to find and video the best solution. Get a Great START on your Packaging Solutions.